Often, when water fluoridation appears in the headlines it is presented as a controversial subject. However, the evidence is clear that water fluoridation is a safe and effective measure to help people improve their oral health. At the levels we permit in our water supplies, there is no evidence of it causing any harm. Among children aged one to four, child hospital admissions due to tooth decay are halved in fluoridated areas compared to non-fluoridated. It continues to be an effective intervention for local councils to consider in their efforts to reduce tooth decay. At the end of March, PHE published a toolkit to support councils in their consideration of water fluoridation. This provides us with an opportunity to explain how it can be beneficial to our health. Fluoride is a naturally occurring mineral found in water and some foods. The amount of naturally occurring fluoride in water varies across the country. In some areas, the natural level of fluoride is close to, or even slightly greater than, the level that water fluoridation schemes aim to achieve. When was water fluoridation introduced in England and why? In the early 20th century, experts discovered that people had less tooth decay in areas with higher fluoride levels in the drinking water. This observation ultimately led to the introduction of water fluoridation schemes to reduce levels of tooth decay. The first schemes were in the USA in the 1940s and some UK schemes date back to the 1960s. Areas in the Midlands including Birmingham have had fluoridated water since the early 1960s. Un-surprisingly, they have much lower levels of tooth decay than comparable areas in England where the water does not have added or naturally occurring fluoride in. Around 5.8 million people in England, across 27 councils, receive fluoridated water. How does water fluoridation work? Water companies adjust the level of fluoride to 1mg of fluoride per litre of water, the level found to reduce tooth decay. This is carefully controlled and monitored. Water fluoridation has the support of the World Health Organisation, professional health bodies in the UK like the British Medical Association and British Dental Association, and the US Centers for Disease Control. Are there any risks from having too much fluoride? At the levels allowed by UK legislation, the only potential negative impact is a greater risk of dental fluorosis, which is a mottling on the teeth usually in the form of white lines or patches. We have to remember that dental fluorosis is common in both fluoridated and non-fluoridated areas. PHE monitors the oral and general health of people in fluoridated and non-fluoridated areas. However, the harm from tooth decay is clear; in 2013 almost a third (31%) of five-year-olds and almost half (46%) of eight-year-olds had tooth decay, the most common reason for five- to nine-year-olds being admitted to hospital. Poor oral health can also negatively impact on a person’s ability to sleep, eat, speak and socialise. Despite being entirely preventable, tooth decay continues to cause pain and misery for a large number of people and is a significant drain on increasingly scarce NHS resources. Decades of research makes clear that water fluoridation helps to reduce tooth decay. What about the fluoride in toothpaste? Since the 1970s fluoride has also been added to toothpaste and dental products such as gels and varnishes. Ultimately it’s beneficial to get fluoride from toothpaste when brushing teeth as well as from water, which offers an additional background level throughout the day. Water fluoridation is one of a range of measures including supervised tooth brushing programmes that councils can consider to improve oral health in their area. How will this new toolkit help councils? Local councils have the responsibility for tackling tooth decay in their populations. 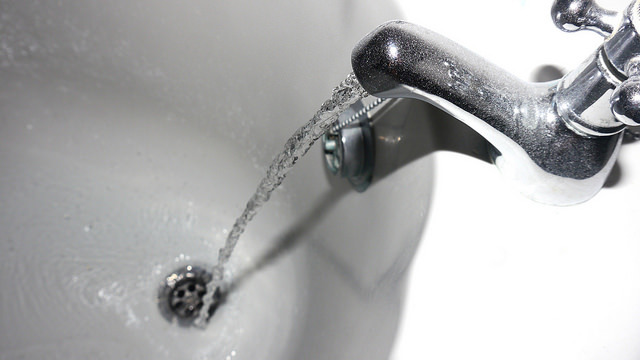 PHE has published a toolkit to help local authorities make informed decisions on water fluoridation and the process to follow should they wish to implement, vary or terminate a scheme. This toolkit will support their public health teams with advice and information.